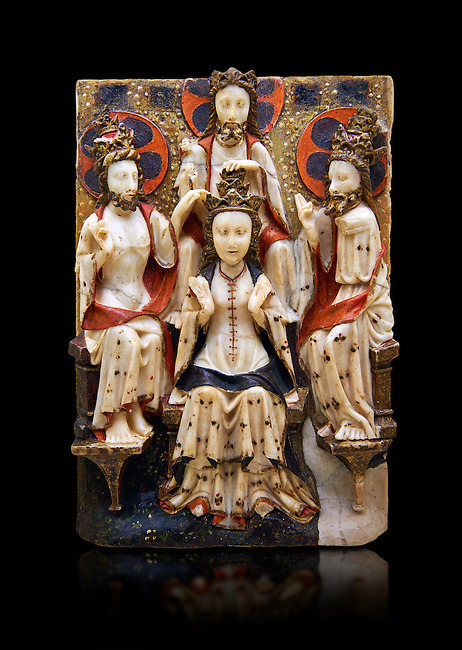 Gothic marble relief sculpture of the Coronation of the Virgin Mary made in London or York, 1420-1460. National Museum of Catalan Art, Barcelona, Spain, inv no: MNAC 64124. Against a black background.